Sometimes you walk into a venue, and know that it just has ‘it’, that something that makes you want to rave about it to your friends and gives you a little buzz. 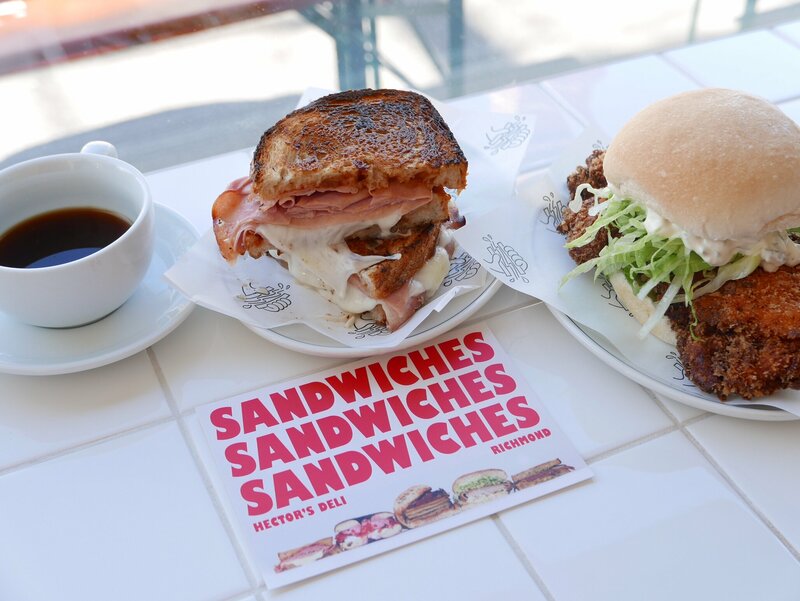 Hector’s Deli may just serve sandwiches, but these are sandwiches with that something, that ‘it’ factor that had me telling my friends they just have to get down to Richmond and check it out. A well-designed little hole in the wall in Buckingham Street, Richmond, Hector’s Deli is the brainchild of Stokehouse and Attica alumni Dom Wilton, Jason Barratt, Edward Ring and Zac Kelly, a group of cool dudes who have bought their fine dining skills into a humble deli to make some smashing sangas. Paying homage to the traditional sandwich shop on the corner from old school Australia, this is fast food, done incredibly well. 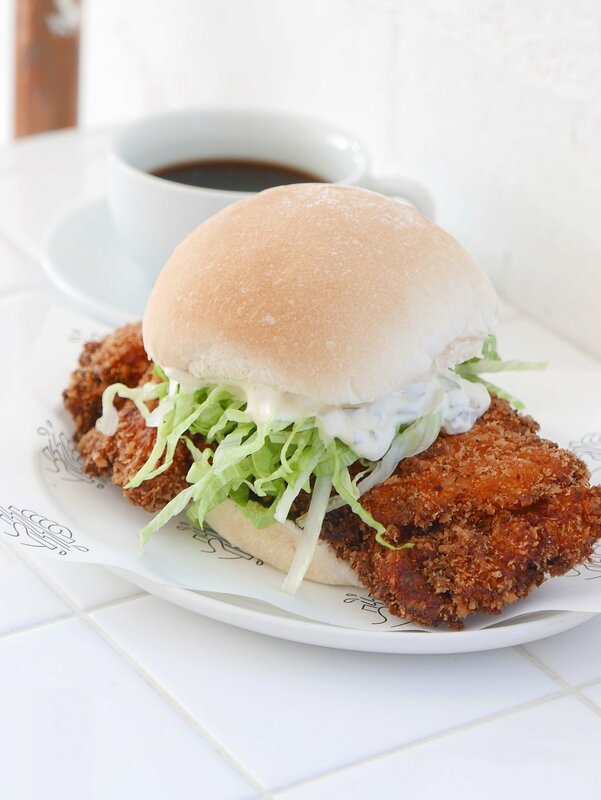 The great thing about Hector’s Deli is that they aren’t trying to be fancy-pants- a cool venue, with clean, white interiors, some great tunes, fun and friendly staff and then the sandwiches simply speak for themselves. 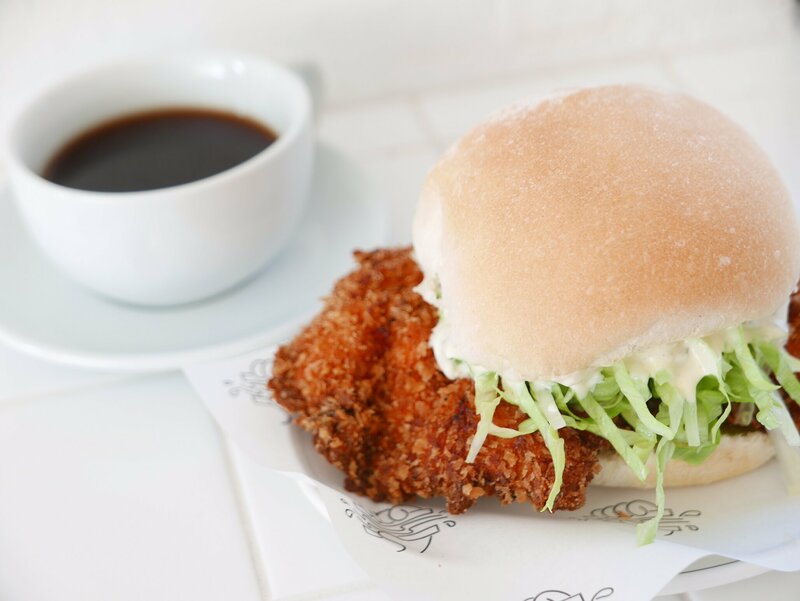 The winning key seems to be using the highest quality ingredients and featuring only six sandwiches, so the focus here remains on just making the best sandwiches possible, not offering too much choice. After opening three weeks ago, the locals know it too, with Hectors Deli selling out most days. 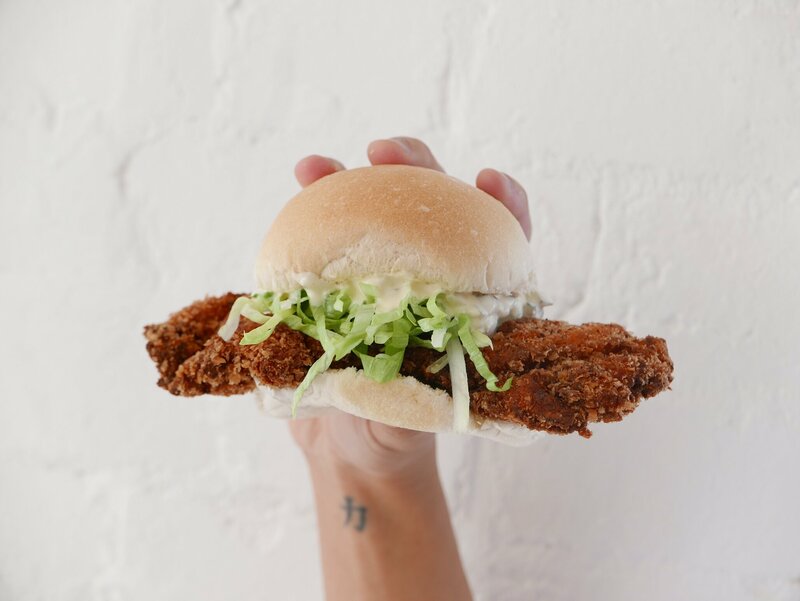 The Chicken Schnitzel Roll was everything you look for in lunch; a huge, crispy, crumbed chicken breast on a crunchy roll with the most delicious mayonnaise full of chopped pickles. 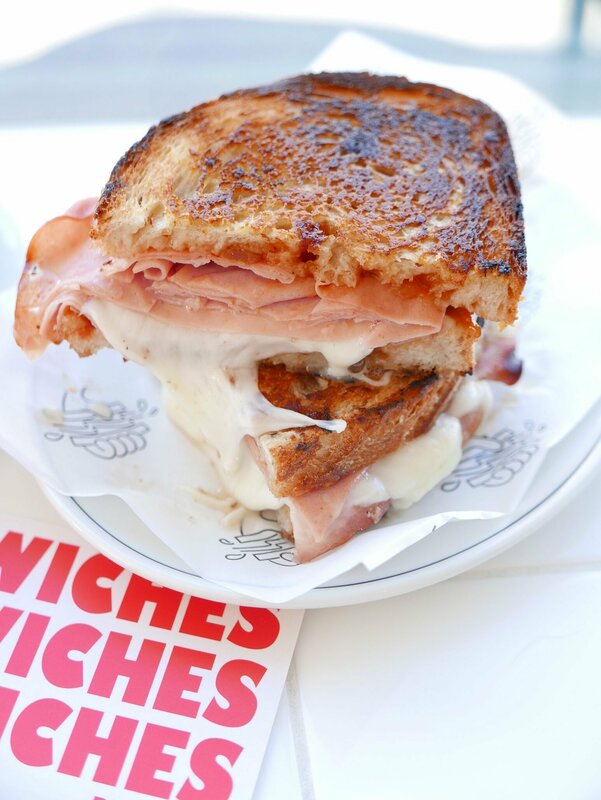 The ham and cheese is anything but basic, featuring Mortadella and different cheeses. 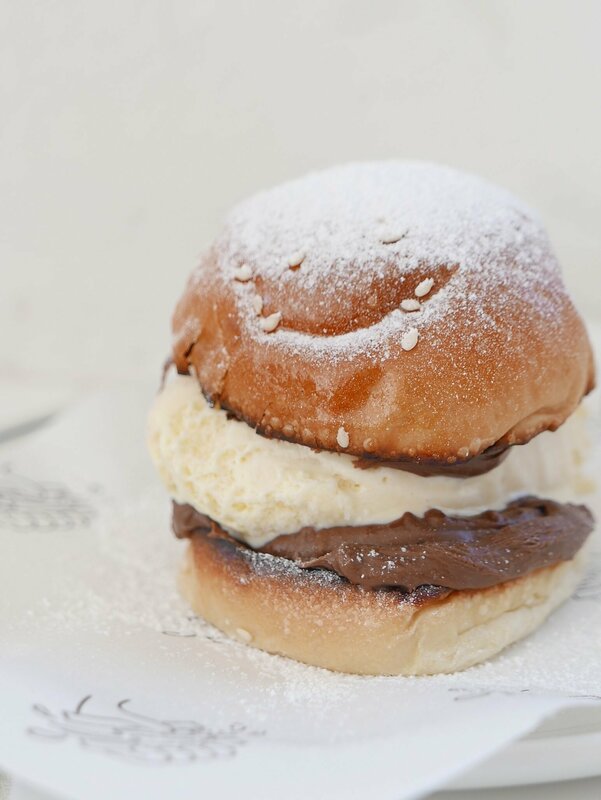 For all you sweet tooths, grab one of the little Nutella and ice cream brioches with a cup of Axil coffee for an afternoon treat. I’m already dreaming about the next feed I get from this place, and you will too. 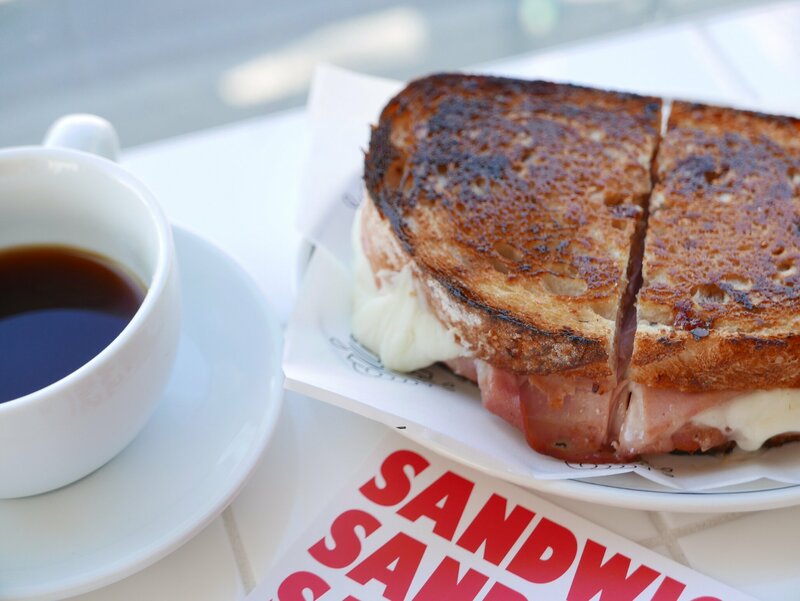 A must for sandwich enthusiasts; you won’t regret it.